For decades, Michael Savage has been preaching his political faith of borders, language and culture to millions on his nationally-syndicated radio show, The Savage Nation. 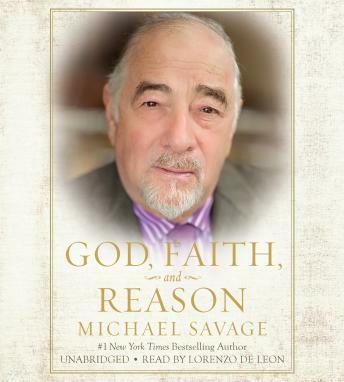 Now, Savage gives his audience a look into his religious faith and his ideas about the Judeo-Christian foundation of the American culture he has fought all his life to preserve. But rather than a dry, theological treatise, Savage provides something more akin to an ancient mystery text. Drawing on Christian, Jewish, Buddhist and other spiritual sources, as well as autobiographical material and highlights from his radio show, Savage shares a series of glimpses of God he has experienced over the whole of his life, before and after his groundbreaking radio career. Moving childhood stories, his dinner with an atheist and a Buddhist, an interview with a Jewish gangster and Savage's reflections on selected passages from ancient scriptures are just a few of the eclectic group of experiences and insights Savage shares in what is easily the most unique book on spirituality in decades. From his days as a boy growing up in New York City to many years searching for healing plants in the South Seas to his current incarnation as one of the most popular talk radio hosts in the world, Savage has been haunted by glimpses of the divine and struggled to find their meaning. Rather than trite, orthodox answers, GOD, FAITH, AND REASON presents the reader with one man's perceptions and consideration of the daily presence of God in the world around us and how the search to find God is the finding itself.